Khan Law advocates for debtors who want to file Chapter 7 or 13 bankruptcy in a variety of cities in the Tri-Valley. Our office can also negotiate debt with various creditors, if Bankruptcy is not the right option for you. 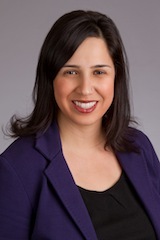 Attorney Alia Khan helps people file for bankruptcy relief under the U.S. Bankruptcy Code. You may have the right to close this stressful chapter in your life and turn to a fresh new page. Khan Law has helped many people get financial relief through bankruptcy filings and is proud of our 100% discharge rate. Through a Chapter 7 or Chapter 13 bankruptcy filing, you may be able to discharge or reorganize your debts, halt foreclosure and put a stop to creditor harassment. Chapter 7 Chapter 13 Debt Settlement or Negotiation with Creditors Khan Law guarantees reasonable fees and will compete with other lawyers in the same area for the BEST Fee. Khan Law is a debt relief agency that understands the very prospect of filing for bankruptcy can seem daunting. We sympathize with you and want to relieve your stress, not add to it. We offer professional and personal service in a nonjudgmental environment and aim to help our clients understand their financial problems and exercise their rights under the U.S. Bankruptcy Code. An experienced litigation specialist, Alia Khan has a background in communication studies and public speaking and uses these skills to communicate effectively with her clients, negotiate with creditors and secure results in the courtroom. 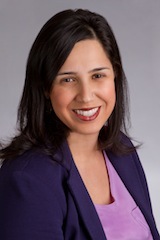 Attorney Alia Khan has been practicing law since 2007. She has worked in a myriad of legal fields with an emphasis in advocating for clients from all walks of life. She began practicing bankruptcy law since 2010 and has been admitted to federal courts in the Northern District of California, Eastern District of California, Central District of California and the Ninth Circuit Court of Appeals. The bankruptcy law practice consists of representing both individual and small business clients with a 100% success rate. Prior to becoming a lawyer, Alia taught public speaking and communication studies courses at many California colleges. She also was on a nationally recognized college debate team where she won many debates and speaking awards. Alia enjoys spending time with her husband and son in Livermore Wine Country. During her spare time, she loves to read and watch old episodes of "Law and Order."